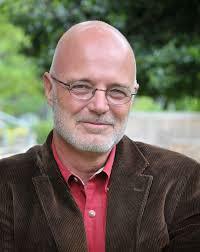 Speaker, author and theologian Brian McLaren joins me today. Brian is the author of many books, such as 'A New Kind Of Christian' and 'A Generous Orthodoxy'. Today on the podcast we discuss his most recent work, 'The Great Spiritual Migration', which explores how our world is looking for a better way to be Christian. Brian shares with great wisdom and insight about why the traditional models of church and Christian faith are no longer working, why the church is dying and it's connections with the rise of the political right in the West. And he shares an exciting new vision of what church can and could be if we choose to move beyond traditional boundaries of 'conservative' and 'liberal' and to a more transcendent, non-dual view of Jesus and the Christian faith. Brian argues with great conviction that the most important thing is not simply what we believe - but how we believe it, and why it's important to be open to allow God to take us ever onward and deeper into more transcendent, mysterious, and inclusive understandings of who He is and what He wishes for His church to be. Brian is a man of great wisdom and insight, with a deep love for Jesus and His church - and his message is much needed. Definitely worth a listen!